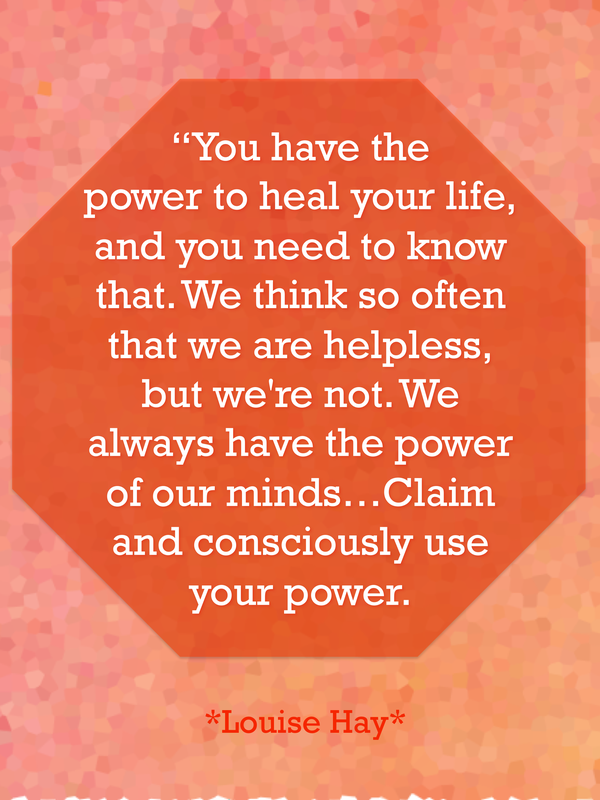 We have control over ourselves, we have the power. By blaming someone, we give that power away, we give it to them. We are saying, it is your fault that I feel like this – which is essentially saying, you have control over me and my feelings. Saying someone else creates your suffering is not taking responsibility for yourself. You are in control of your own life. I used to really struggle with this. I would get so frustrated and upset because other people would do things that annoyed me. I blamed other people for my unhappiness. But it was my perception. I let myself get annoyed at external things beyond my control, until I learned that I control how I view things. Last week I began to get stressed and frustrated looking after a child who is pretty demanding and craves attention. My mind was on auto-pilot thinking, ‘ she’s so demanding, ungrateful, needy and controlling. it’s her way or no way.’ This kind of thinking just led me to feel more and more annoyed every time she’d have a new injury or be demanding my attention without any patience. When I became aware of my thoughts I realized the effect they where having on my body (stress,anxiety,muscle tension) and how I was acting colder, blunter with the child. Both things I didn’t want. So as I stepped out of auto-pilot, I took responsibility because I know that it was only my perception at fault. The way I was viewing the situation was as if my thoughts and assumptions where the truth. Thoughts and assumptions are not truth. Instead I decided to be curious, this child would never choose to be this unhappy with herself, she doesn’t choose to get stressed out,cry at little things, she doesn’t choose to be so needy and demanding of her mum. There must be more depth to it than I am currently viewing. I understood she has insecurities, she needs attention because she is missing something. With understanding, I began to grow compassion and empathy and realised theres a lot more depth to this little person than I know. There’s a lot more depth to each and every person, more than we will ever know. So I had that transformation with our relationship, by taking responsibility and deciding to change my views instead of just blaming her for my anxious state. When we take responsibility for ourselves, we recognize our power and control. We recognize the freedom of choice.